This post is sponsored by General Mills. All views expressed are that of our own. Are you breathing a sigh of relief after the holiday season? Maybe your kids even returned back to school from Christmas break? I know I sure am! Don’t get me wrong, I love the holidays and spending time with family, but all the rushing, prepping, and stress is enough to make even the sanest person feel crazed! There were days when I wanted to put myself in a time out, pause the clock, and enjoy a nice, long nap! But, I have 3 kids so that is pretty much out of the question! But, with the New Year came my zest for organization, and ways to make things like breakfast easier on me. Today, I am happy to share some breakfast hacks that have been helping mornings run smoother. I also wanted to share the all new Cinnamon Toast Crunch Churros by General Mills. You can find these at Walmart and Walmart.com. 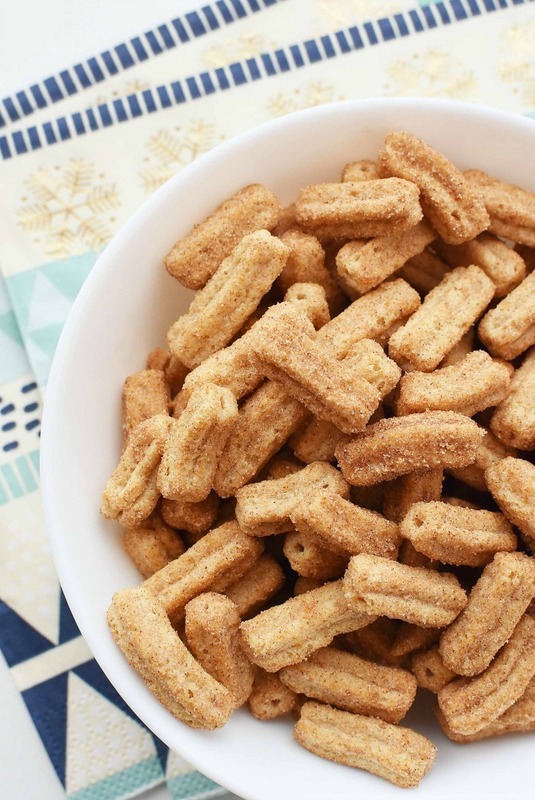 If you love the taste of churros, and Cinnamon Toast Crunch, this cereal is for you! My kids cannot get enough of this cereal and have declared it “the best cereal ever”. They want it for snacks, and as their morning meal! As a mom who can appreciate a low-calorie, low-sugar breakfast cereal (only 8 grams per 3/4 cup), I am happy they made this yummy variety! It is super fun, and tastes so darn good! 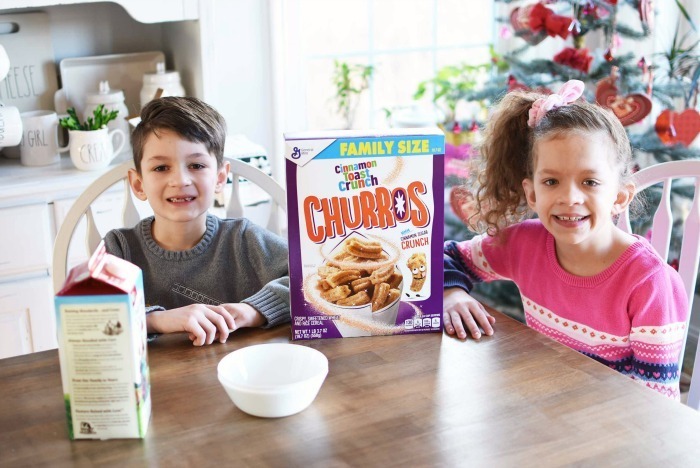 My kids are super picky with cereal so I am glad I found Cinnamon Toast Crunch Churros since they all agree it is amazing! Plus, the Family Size boxes from Walmart, allow it to last all week! Before my husband and I go to bed we set out the cereal bowls, and spoons. Then, we add the servings of cereal to each and use a plastic wrap to seal them. In the morning, they are ready for milk! Easy, Peasy. Just like you sealed the cereal bowls, pour the juices, and milks the night before and wrap them so come morning the kids just need to grab and eat. For us, this prevents a clogged refrigerator area, and some morning fights. 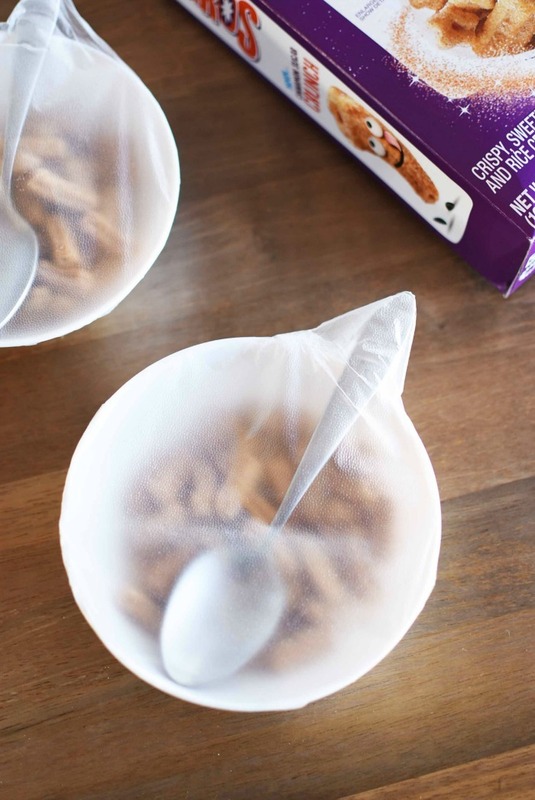 If your kids are like my oldest and prefer to eat their cereal dry and on the go, simply portion out some cereal bags making for an easy grab, and go situation with little fuss. Overall, back to school mornings do not have to be too hard. These back to school breakfast hacks should help to ease your morning chaos, and help things run a lot smoother. Be sure to head to Walmart & Walmart.com to find this new flavor of cereal. OMGGGGG how did I not know these were a thing? I am going to add them to my shopping list right now. YUM! I would love to have things ready for us when we are rushing to get out in the morning. 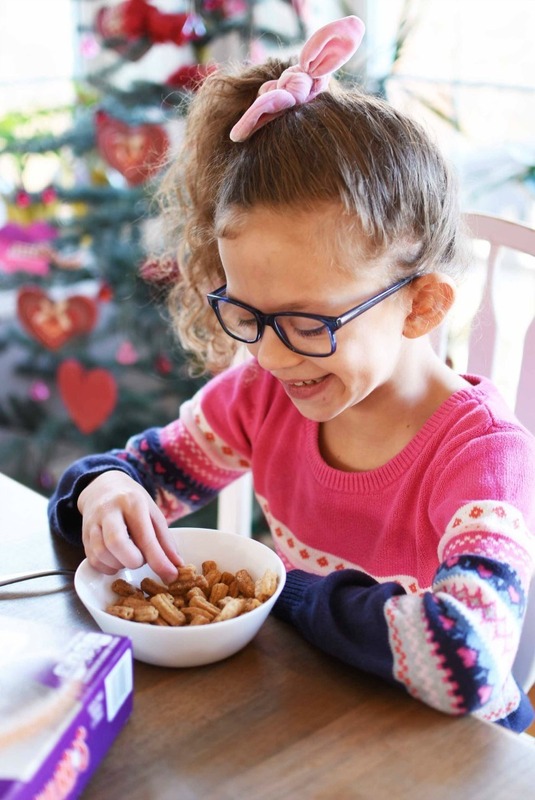 These tips are smart and that cereal looks like a new favorite for my kids. Oh my gosh I just saw a commercial for these and I’m telling you right now I am buying them. Churro’s are one of my favorite desserts. Yum! This cereal must be delicious. I like your quick ways to get the day started! We recently tried Cinnamon Toast Crunch Churros and absolutely loved it. It’s nice to know there’s a family size box available at Walmart, because we’re going to need it. We love Cinnamon Toast Crunch! I haven’t noticed if our store is carrying the churro flavored cereal, but I’ll be looking the next time! I have been wanting to give this cereal a try. I have seen it in stores, just haven’t picked it up yet. I certainly need to try it now! I think it’s going to be a good one too. My kids would love this cereal! We haven’t tried it yet. I love having cereals like this on hand for an easy after school snack. 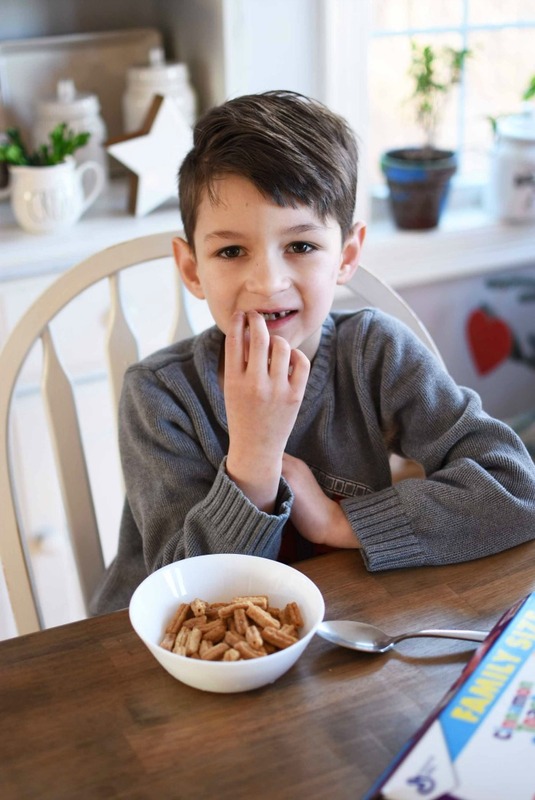 I recently purchased the Cinnamon Toast Crunch Churros cereal for my kiddos too. They absolutely love it! I just poured the last bowl out of the box this morning. I’ll be headed to the store to get more soon! My son would love those! I can’t wait to grab some next time I go shopping! I just saw these the other day at the store and was thinking hmmmmm. Now after reading your post I will have to try them, you know first so I can see if my kids will like them. 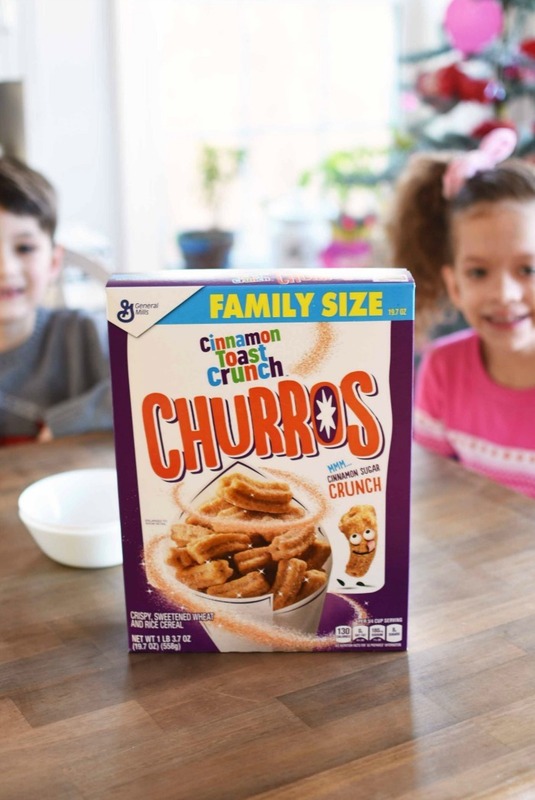 My kids loved this XChurro cereal. Fun in a bowl. Thank you for the helpful tips. I love quick and easy breakfast especially during the school season. We have all crazy mornings so a easy breakfast is what we need! I really like churros and I never heard about this one before. Will look for this one in the store! I love these hacks! I am ready to try any hack to make our mornings easier! My kids often end up eating breakfast on the go, partially due to their poor time management skills. I like a cereal that is easy to eat with their hands. I know my niece loves churros so she will surely love this. I might want to try this too! Whoa, I had no clue this cereal was a thing! We love Cinnamon Toast Crunch. So looking for this at my next grocery shopping trip. Yummy!